The Natooke shop in Chengdu does bicycles and they do them well. 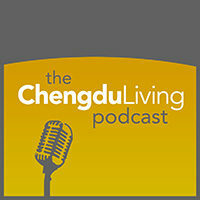 Jacob and Larry, founders of Natooke Chengdu, came to the Chengdu Living studio to talk about their personal history with bikes, starting a Wholly Owned Foreign Enterprise (WOFE), bike culture in China and the U.S.A., and fostering a budding bike scene in southwestern China. 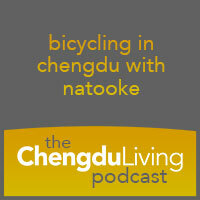 After listening to the podcast, if you want to learn more about Natooke, their bikes and their business, you can follow them on Facebook, check out their weekly-updated thread on the Chengdu Living Forum, and follow them on WeChat (QR code below). 1:45 How did Jacob and Larry meet? 46:00 What makes a fixed gear bike different from other bikes? I was quite content listening to this episode until Yes Sir I Can Boogie came on, then I got all emotional. We miss you too Callum! Yeah, that has almost become the de-facto Natooke Chengdu theme song. Come back and visit! I feel the same way. Buying a high-quality bike like this is a real lifestyle move. In a country where it sometimes feels like everything falls apart, you rarely come across quality like this. Jacob and Larry are also so much more than just proprietors or mechanics, they are ardent advocates of the bicycle lifestyle. It also makes me really happy to hear that they went through an objective process of analysis to decide on setting up their shop in Chengdu. Considering the size of Chengdu, this is an excellent place for cycling. Another great podcast…. Jacob & Larry have always been helpful, courteous and friendly. They actually gave me encouragement to get off my arse and cycle everyday. So much positive feedback. Thanks for everyone’s support! Super happy with how this podcast turned out and even happier we’ve had yet another opportunity to share our love for bicycling with others. Why there is no more update, it was pretty good. 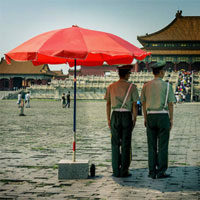 What kind of update do you mean: podcasts in general or more information about Natooke or cycling in Chengdu?